Following after meeting the other Starwings, Neb decided to scout around Pyyria checking for any signs of the Void. Nebula had met the Void before, as they tried to get him to join their ranks. But since he heard that they where rebels, he was against it since they where murders and 'evil' like. Upon leaving the atmosphere he transformed into his space state, with his wings he glided towards the lonely moon. After checking the area it looked clear, but he was worried that a void could have cloaking powers like he had himself. Concern flowed though his mind checking his surroundings for any possible void watching. Pulse had been in the old Star Kingdom ruins. She was searching for more clues of what had occurred that one day. So far, she found nothing but items that may have belonged to the past StarWings. Sighing, Pulsie glanced up into further Space. It seemed as if there would be no possible way figuring out what happened those many, many years ago. As much as she had tried, she hadnt gotten anything out of seeking for the cause of this destruction. Giving up for the day/night, Pulse had flown out of the Kingdom. And upon exiting the place, she swore she saw some dark figure in the distance, right near the moon. Destyn The Void Dragon. He has dangerous powers acquired from the Void, he can absorb all sorts of light (creating a pitch black/dark atmosphere), and he can shoot out explosive beams/energy blasts that are as strong as super nova's. Location : Sun bathing on a star. Neb still had the feeling that he was being watched, while scanning around he spotted a red like light towards the ruins. He slowly glided closer to get a better look. while getting closer he realized it was pulse, he sighed with relief he wasn't sure if he could win a fight with the Void. As he got close by to Pulse he asked, "Any luck?" giving her a smile, while he continued to look around nervously. Pulsie smiled back to Nebby as she figured it was him. "Oh, no...Nope. I couldnt find any thing useful." She glanced to the moon quickly and made sure not to keep eye contact with Nebula. "So, what were you doing over there?" Pulsar pointed with her tail in the direction Neb had came from. Neb blushed, and replied "Oh I didn't want to worry you, I was just checking for any signs of the Void" while continuing "I had a strange feeling over there like I was being watched". He felt it would be safer back on Pyyria in case its true. He turned towards Pyyria, "I think it would be safer heading back" he said with a concerned look on his face. Pulse thought for a second, if they went back to Pyyria, there wouldnt be much going on down there. Well, nothing that could be used to figure out what had occurred in the Star Kingdom... "Nebby, can you please take me to where you felt like you were being watched? Perhaps we can find some important info..." Pulsie's eyes lit up of that thought, she just really wanted to know... "If we run into trouble then, oh well." "Just follow me..." Pulsar muttered and flew off over to the moon. Looking around, all she saw was just moon rocks and dust. "Tell me if you see anything, alright?" She continued to search the surrounding area, but so far, nothing was seen. Pulsie sighed, finding things was always the hard part, though she couldnt give up. A few more minutes had passed and still not a single thing. Turning back to face Pyyria, she was astonished of how beautiful it was. 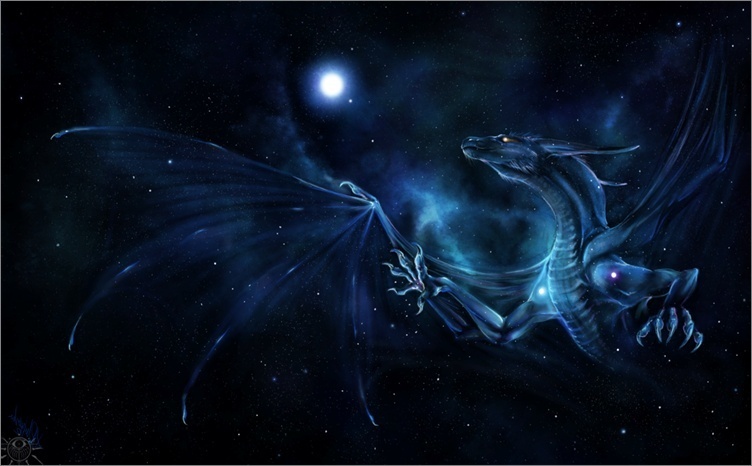 Her wings shined more brightly in the dark of space, and some red, glittering flares from her tail twinkled downward towards the Moon. Admiring the view, Pulse decided to ask, "Hey Nebula, dont you think that looks nice?" After searching around and hearing Pulse, he turned to also face Pyyria, his eyes lit up as what seemed to be a blue marble like planet, full of life with the star shining behind them it gave the atmosphere a light blue glow almost like the planet was calling him. Turning back towards Pulse, "Yes, its almost as beautiful as you!" he replied admiring the sight of Pulse glowing surrounded with the starry background of space. He gave her a cheeky smile, all tension of their previous activities seemed to disappear as they both admired the view. He slowly glided towards her as she was still admiring the view, in till he was also within touching distance. Pulsie blushed at Nebby's comment and didnt reply. Her wings grew hotter as Nebula came up beside her. Maybe he was just flirting with her, maybe not. Though she wouldnt know until she asked him. Turning her head, Pulse gathered enough courage to say something, "Nebula...um, how d-" She was cut off as she saw a very large, scary creature a few meters away. "Nebby! Behind you!" Pulsar got into her battle stance, creating a small energy ball and charging it up to be fired. Neb suddenly turned seeing why Pulse was alarmed, he couldn't quite make the creature out, it was a large dark figure with glowing red eyes. What ever it was he had a bad feeling, "You seen this creature before?" he asked, whatever it was it must be a Void. He prepared him self and to defend Pulse. He also charged up his starfire, surely both his and Pulse's firepower could stop this creature. "I have seen something like it, back when Star and I were examining the ruined Kingdom..." Pulsie responded and finally let loose her attack. The bright ball of light shot straight towards the dark creature, though just in time, it had vanished from the spot. Glancing around them, Pulse looked for where the Void creature may have gone off to. She flew up higher into space, ready to fire another energy ball if she caught sight of the figure. "Be careful, Nebula, I dont want you getting hurt from that thing!" Pulsar had called out, worrying for both of their sake. After the creature disappeared, he thought that the evil being had cloaked from their sight. Neb was on high alert ready to fire at the corrupted creature. When suddenly the pitch black creature decloaked next to him, he quickly turned as he started to fire his cleansing light pure starfire only to be tackled disrupting neb's attack. The tackle sent Nebula far from Pulse being slightly dazed the creature had disappeared again. He glided back towards Pulse thinking it would be better if they stuck together, to defeat this creature. Pulsar frowned as she missed her chance, and when Neb got hurt, slightly. She shook her head at him then glanced to her far left. Something shimmering caught her gaze. Thinking it may be the creature, Pulse shot out another energy ball. The twinkling moved, but not fast enough as the light ball hit it. Her eyes lit up with delight when the mysterious glistening had transformed into a dark body, "Yes! Nebula, come on!" Pulsie dashed on over to the spot and stared at the twitching creature. "Woah...I have never seen anything this odd before." She looked at the crazy designs it had, they were similar star formations like that of a StarWing. However, the creature had a red color glowing around its eyes, many dark patterns on its scales, and its presence was just haunting. "This may be an actual Void Dragon." Pulsar glanced to Nebby and asked, "What do we do with it?" As the plasma ball hit the creature, "Nice shot!" he shouted. As they went closer to the body, it was clear that it was a Void dragon. After Pulse asked he responded, "We should destroy the body, hopefully we don't see another one." and continued "I could use my Starfire, would be quick"
Pulse gazed at Nebula with a shocked expression, "Are you kidding?! We cant kill him! We could use him to our advantage..." She quickly looked to the dragon who still lay there, dazed. "How about we lock him up before he awakens. Then we can ask him questions." Pulsie squeezed underneath the Void Dragon and held him up against her back. "Help me with this, will ya?" Neb sighed, "Ok then.. hopefully he can tell us what happened at the ruins" Pulse maybe was right, but he was still worried that the dragon could still be dangerous for them both. "Alright how about we find a place in the ruins to lock him up" he asked glad that Pulse wasn't hurt. Pulse nodded, "Okay, now just help me with this! He's too heavy for me to carry him alone." She lifted the Void Dragon and hovered beside Nebula, putting some weight onto Neb's shoulders. "You ready?" Pulsie asked, preparing herself for a long flight. She had to admit, being in space for too long was a bit lonesome. She was eager to get back to Pyyria soon, though that would have to wait after they interrogated the dark dragon. Neb nodded taking the weight of the dark dragon, "Yep, lets go" he replied, as both where gliding towards the ruins Neb lost grip and gave out a soft growl of pain, it was clear that the tackle from the being had injured him, but he was able to regain position. A few moments later they had arrived at the ruins, he pointed towards a decaying structure, "How about in there?" he asked turning towards Pulse. Pulsie nodded, "Yeah, there's fine." She helped Neb set down the Void dragon and used materials around them to keep him locked inside. "Do you think he will be able to break this down? Hmm...Wait! Perhaps I can drain his energy so he wouldnt have enough power to escape." Not waiting for a response, Pulse reached through a crack in the barrier and touched the unconscious Void creature. Taking a deep breath, energy surged into Pulsar, making her eyes widen. She hadnt done this for such a long time that it sort of stung for her, and perhaps it hurt even more for the vile Void dragon. After minutes of slight pain, Pulse stepped back. It felt as if energy was taken out of her, though soon she began feeling more energized than ever. "So Nebby..." She turned to look at his gleaming wings "Uh, what questions shall we ask it?" Neb nodded in agreement, and watched Pulse drain the void's energy, her wings started to light up brighter. Amazed with her ability, he wings began to gleam clearly showing interest. he responded "Errr.... how about if there are more of them close by? why did you attack this kingdom?" he shrugged waiting for Pulse's response. Pulse nodded at Neb, "Um, okay." She then turned back to the Void Dragon who still seemed passed out. "Oh...Uh, I dont know if we can ask him now. He seems a bit out of energy to awake." Thinking of what to do now, Pulsar watched as the area around them was lit up by the light Nebula and she had produced. "So....While we wait, what do you want to do?" She asked, hoping they could do something active, as she wouldnt want to waste all her newly gained energy. Neb nodded, and answering with the first thought. "How about we check the ruins again, so then where not going far." he spoke as his wings started to light up. preparing himself to move. "In less you have any ideas?" he asked with a smile on his face. Pulse grinned, "Sure, that would be fine." She hopped upwards and spread her wings wide. The glow from her wings illuminated the area around them, "Lets make sure to keep a close eye on that Void, though. I wouldnt want him to escape without us noticing." She glanced to the dark creature then asked Nebby, "You ready?" Nebula nodded responding to Pulse, he took fly but keeping on eye on the void dragon's prison. After few moments of looking around the ruins it was clear that they didn't miss anything and there where no signs of other void dragons. He turned to Pulse, "Looks good, lets check on prisoner." he said while hovering with his glowing wings.